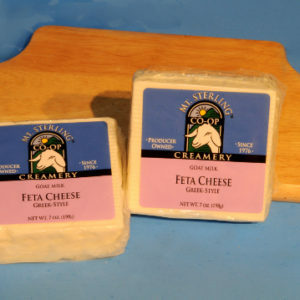 Our raw milk feta goat cheese has a rich flavor with a noticeable salty taste. 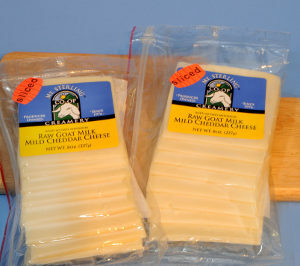 This dry, crumbly cheese is excellent in dishes with vegetables. 100% natural. No colorings or additives.